Gnana lives in a small community populated by the Oku, strange and ethereal beings who wander the land. Move with the A/D or LEFT/RIGHT arrows keys. Originally made by @ciara3D for May 2015's One Game a Month. This is version 0.0.2 of the prototype, and is still under heavy and active development. 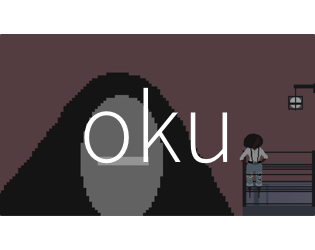 You can support the development of oku directly by clicking "Support This Game" above. Or, you can support me monthly via Patreon (patreon.com/ciara3D) and help me survive!